Impact Group is thrilled to announce the addition of Kip Gruell to the team! Kip is joining us as the President of Sales, a position we have strategically added to our structure to ensure success amidst our rapid growth. 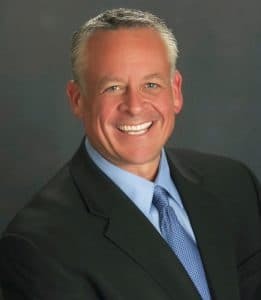 Kip is a natural fit to the organization as he has extensive experience in Retail and Consulting with over 30 years in the Retail Food and Drug industry. Kip’s career began at Albertsons where his experience included Store, Division, and Executive Management. Kip then spent 11 years at SuperValu as the VP of Perishables. Most recently, he served as a Principal at the Radian Group focusing on Business Development and Client Strategy Development. He is passionate about leading an energetic and focused team that loves the food industry, and is eager to be a part of the success we have built thus far at Impact Group. Kip will be based out of the Boise office, and report to Carl Pennington. Please join us in warmly welcoming Kip to the Impact Group Family!